Audiences everywhere are in for a Smurfy good time as the Smurfs make their first trip to the big screen in Columbia Pictures'/Sony Pictures Animation's hybrid live-action and animated family comedy, The Smurfs. When the evil wizard Gargamel chases the tiny blue Smurfs out of their village, they tumble from their magical world and into ours—in fact, smack dab in the middle of New York's Central Park. 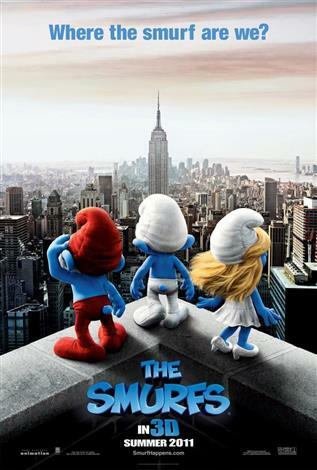 The Smurfs must find a way to get back to their village before Gargamel tracks them down.